Just as in the normal game, only the very first Monster on the very first turn is unable to inflict any damage. 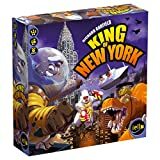 If Manhattan is only occupied by one Monster, the attacking Monster deals damage to the Monster in Manhattan, and then must move into Manhattan, too. When you progress in Manhattan, you move along the same type of space: If you are on 2-4, you will advance to the next 2-4; if you are on 5-6, you will advance to the next 5-6. Remember, there can only be two Monsters in Manhattan at once! 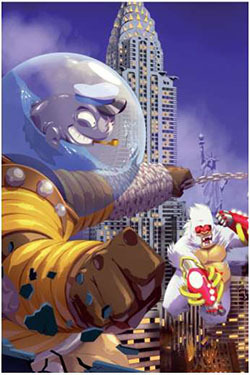 If the Monsters in Manhattan are attacked, the Monster on the 2-4 space says whether he will flee. If he flees Manhattan, he goes to the borough of his choice (provided it doesn't already have two Monsters in it), and the Monster on the 5-6 space moves to the 2-4 space in his current zone, unless he also decides to flee. If the Monster in the 2-4 space is eliminated, the Monster on the 5-6 space automatically moves to the 2-4 space in his current zone. 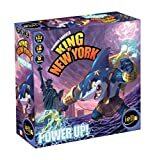 If the elimination of a Monster means that fewer than five Monsters remain in the game, from now on, there can be only one Monster in Manhattan. If there are still two Monsters in Manhattan, the one on the 5-6 space automatically moves out of Manhattan to the borough of his choice which doesn't have two Monsters in it.